A young zebra, born with only half his stripes is rejected by his superstitious herd and blamed for a sudden drought affecting the land. 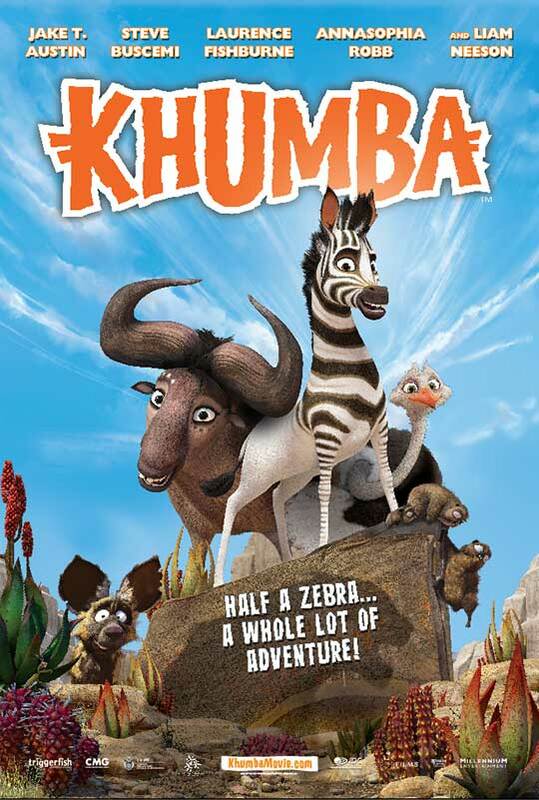 Teaming up with a sassy wildebeest and a flamboyant ostrich, Khumba sets out on a daring mission across the Karoo desert to find the legendary waterhole where the first zebras got their stripes. Along the way he meets a host of colourful characters, but before he can reunite with his herd, Khumba will have to come face to face with a menacing leopard to take part in an epic battle.